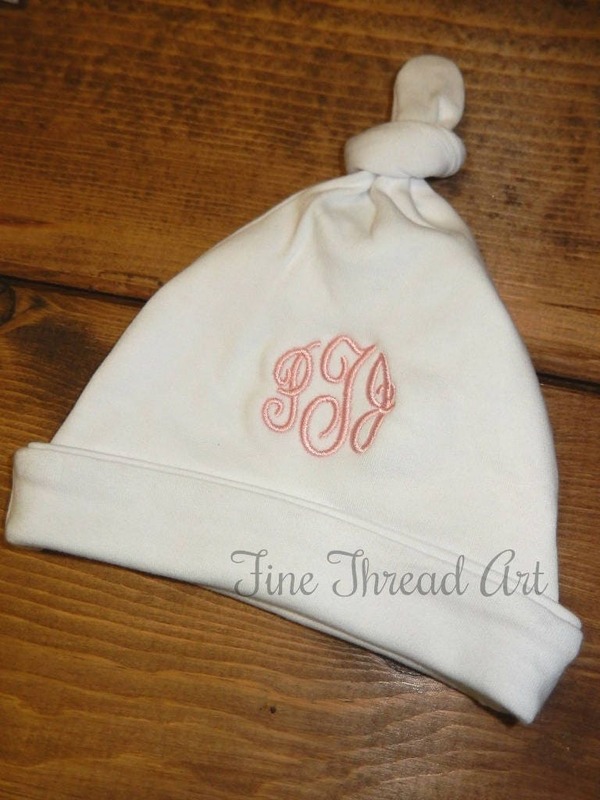 White Cotton Knit Hat with Knot with a name or initials, in newborn to 3 month size! 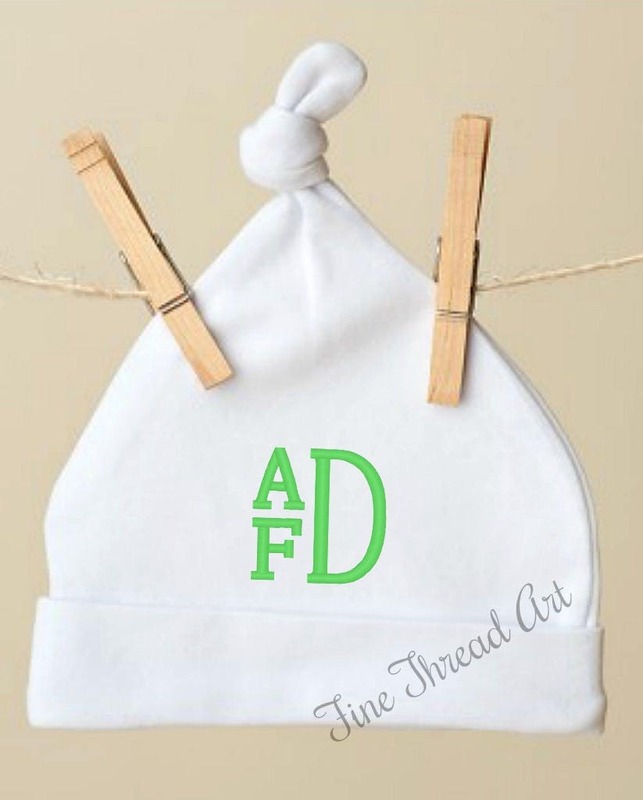 - White cotton knit baby hat with knot on top, good for boys or girls or gender neutral if the parents are waiting to find out! 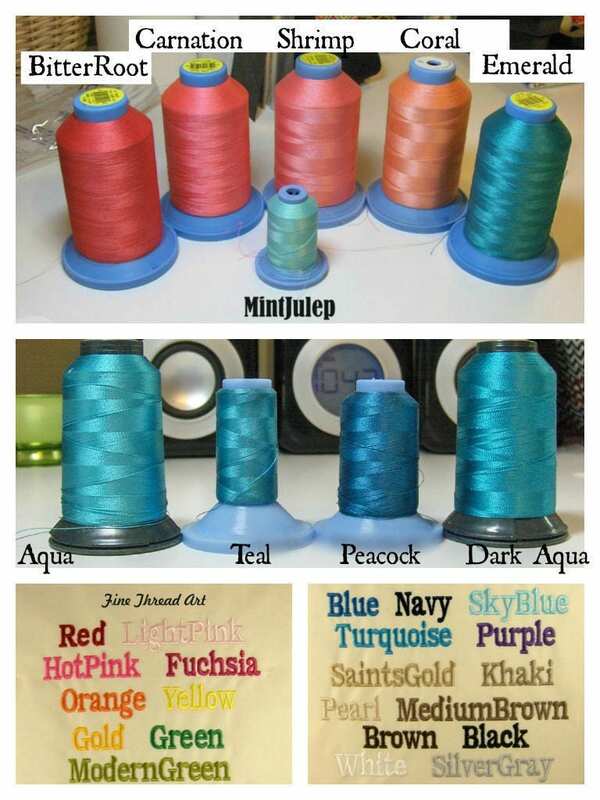 - Perfect to use for holidays or to match team color! 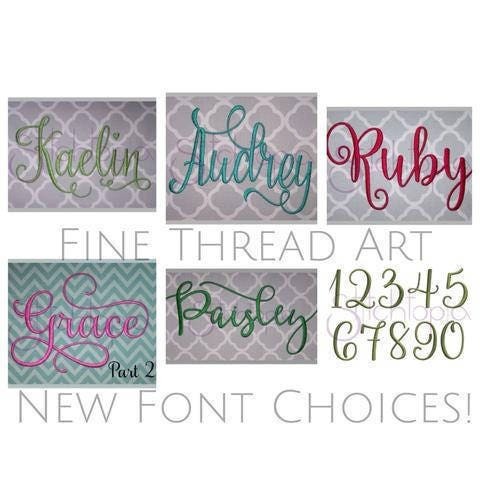 The options are endless... orange monograms for Halloween/Thanksgiving, Red for Christmas and still use for everyday, or neutral to match with anything! 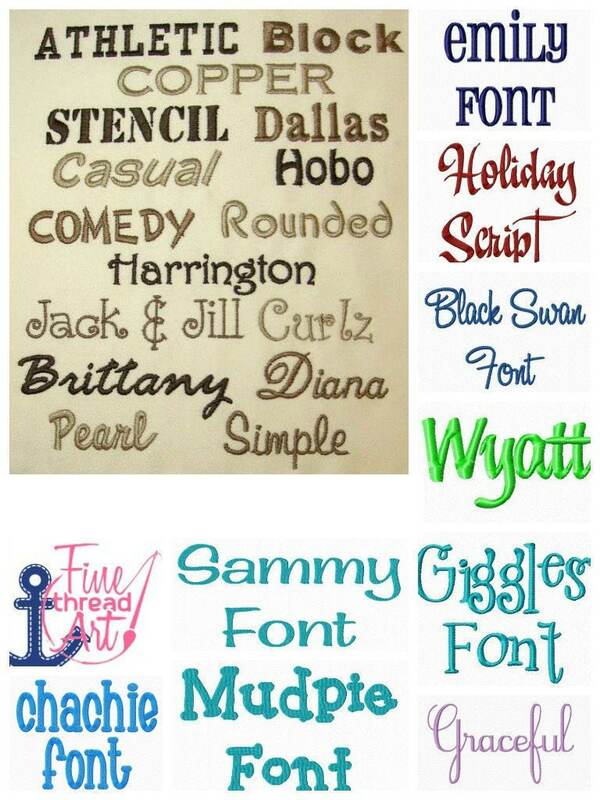 - Remember that traditional monograms have the last name as the larger, center letter. 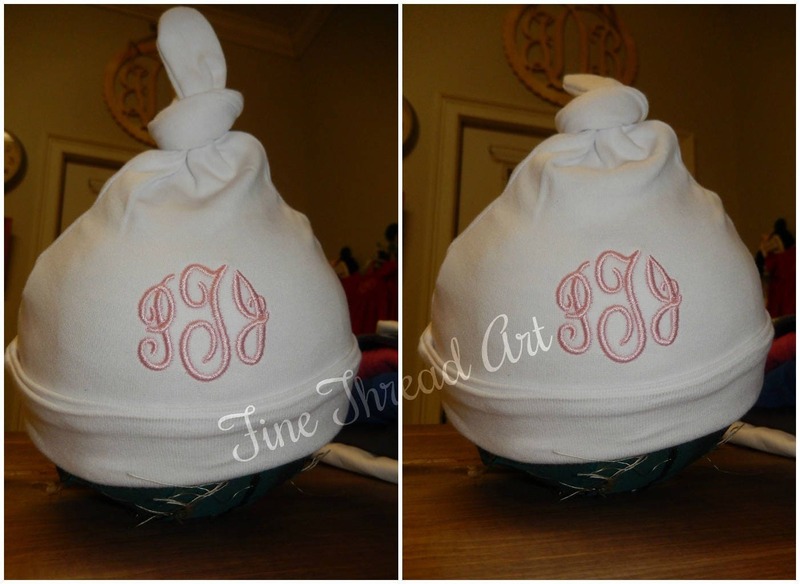 Please be specific when listing initials so that we can be sure to embroider your monogram correctly. 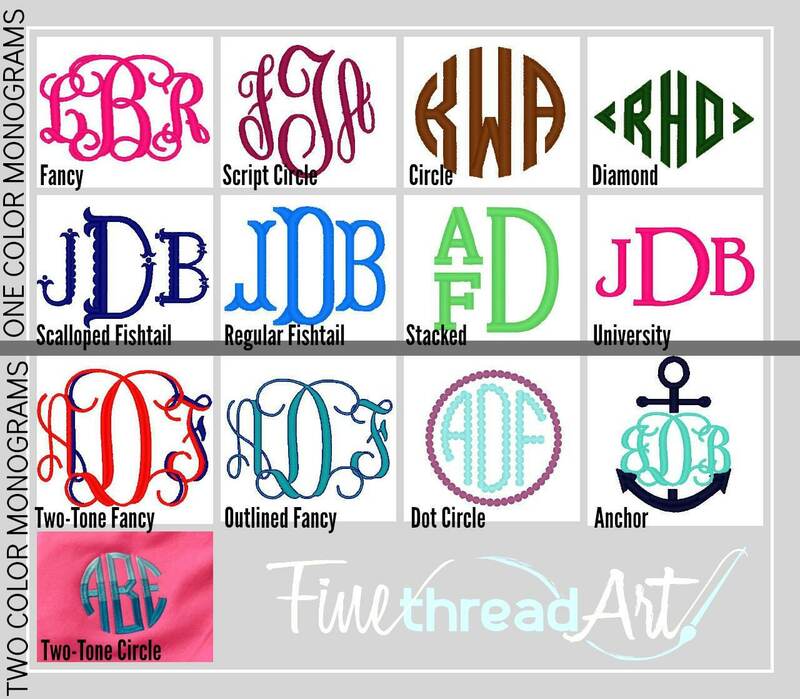 An easy way to type a monogram is as follows: jDm for Jane Marie Doe. If you have any questions at all, please ask! I'll be happy to help!